Karma is a woman of indomitable will and unbound spiritual power. 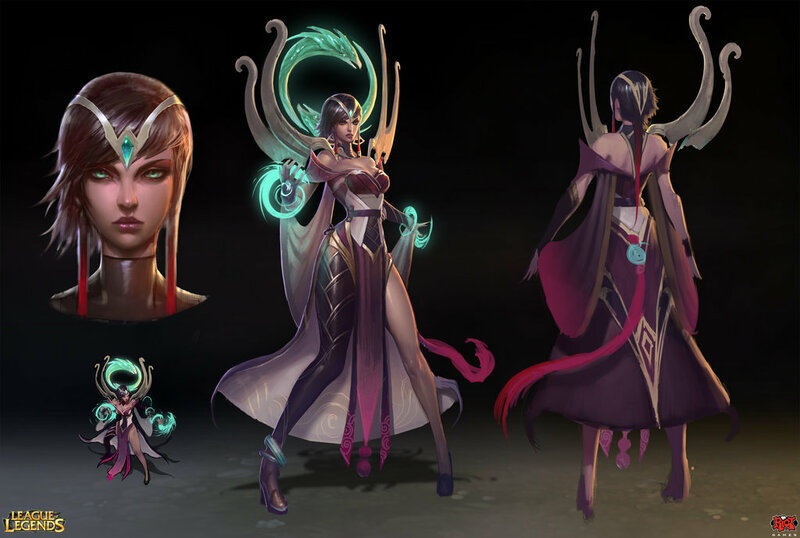 She is the soul of Ionia made manifest and an inspiring presence on the battlefield, shielding her allies and turning back her foes. 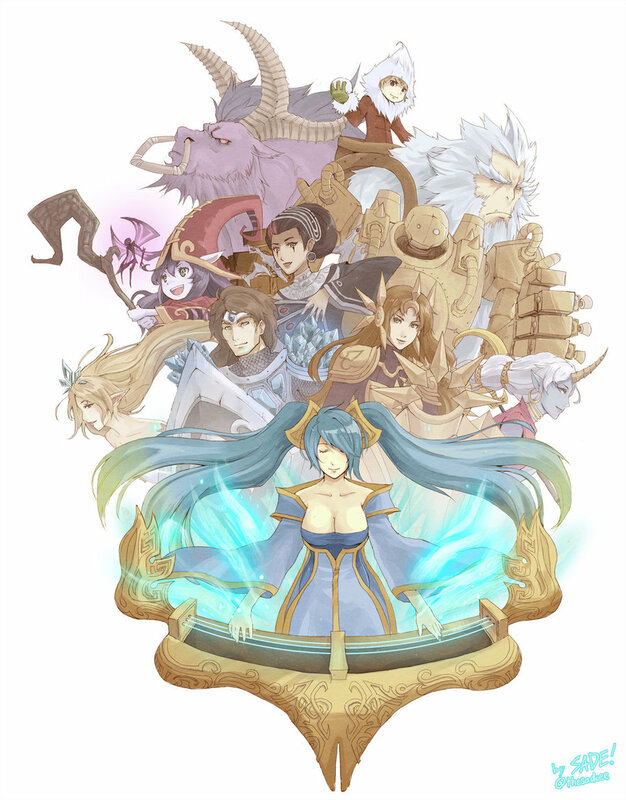 A strong leader torn between tradition and revolution, Karma seeks to protect the peace of Ionia – by force if necessary. Her inner peace was tested when the armies of Noxus invaded Ionia. 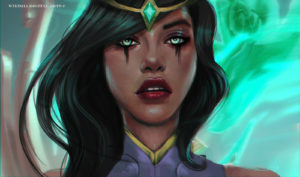 While the village’s elder monks insisted their peaceful ways would spare them from violence, Karma had heard enough tales of Noxian cruelty to openly question the elders’ wisdom. Stern and unmoving, they told her to trust in tradition. When the invaders marched on the village, the elder monks rode out to negotiate a bloodless end to the battle. The Noxian general was offended by their show of weakness and slaughtered the monks himself as he ordered his soldiers to strike the village. As the Noxians advanced, the villagers prepared to accept death, bound to their peaceful vows. But Karma would not accept death and instead saw another way: sacrificing a single life to spare many others. To save her people, she drew upon the power within and summoned the full force of her will. 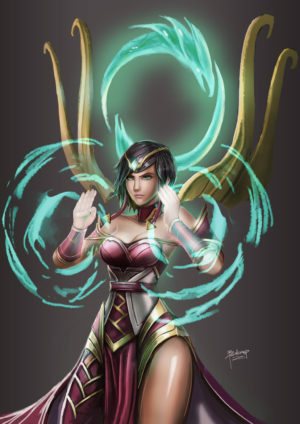 A burst of spirit fire emerged from her body and spiraled towards the Noxian general. The flame took the form of twin dragons, the symbol of Ionia itself. It was the first time Karma had ever used her powers to harm instead of protect, and neither she nor the villagers had ever seen anything like it. When the magic subsided, the general had fallen before her and his soldiers had scattered. The opposing forces surrendered to Karma’s strength leaving her people, and their traditions, untouched. 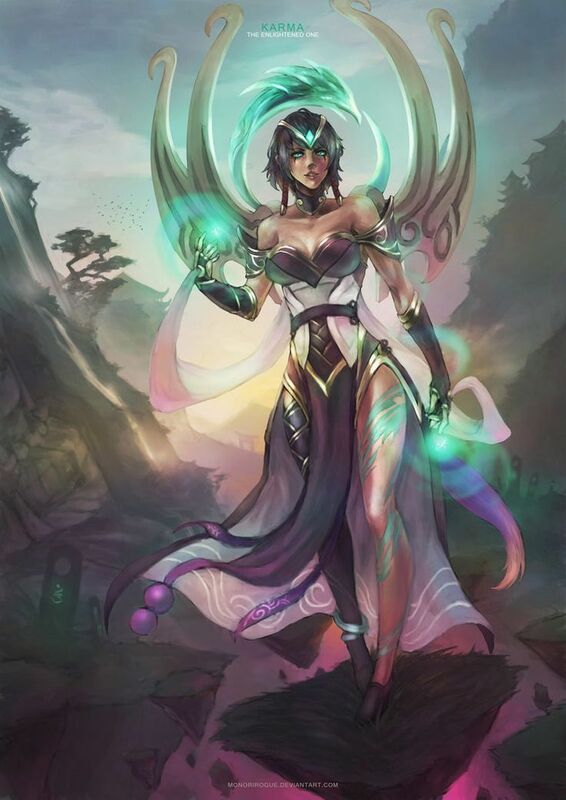 While the war raged on, Karma became a formidable leader of the Ionian resistance, but the conflict did not end when Noxus’s armies fled the Ionian shores. Ionia became divided between the resistance fighters who craved vengeance and the monks who demanded a return to spiritual tradition. Karma saw a third path, one that combined the strength Ionia found in war with the peaceful traditions the nation still held dear. She now seeks to return her ravaged land to an enduring peace.